iPhone X-mania is officially here. With the device launching last week in Canada and beyond, first impressions of the device have been very positive (we’ll have our short review up soon) and stock has been hard to find. 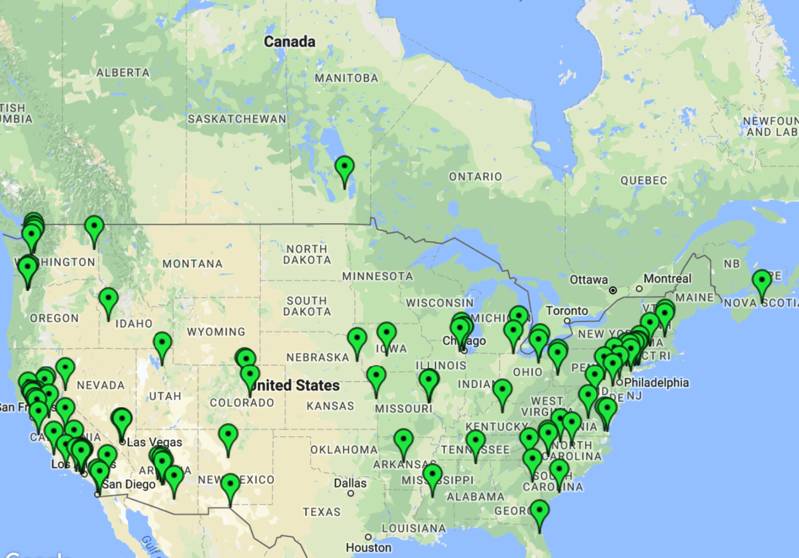 Apple has Reserve and Pick Up available for iPhone X, but right now for the most part, stores across Canada are sold out. There is one way to get notified for iPhone X when it gets in stock, and that’s to utilize the site iStockNow, just like you did for AirPods. Earlier this morning, only Apple Stores in Winnipeg and Halifax had iPhone X available for reserve and pick up. Those who acted quickly were able to nab these few units up for pick up. 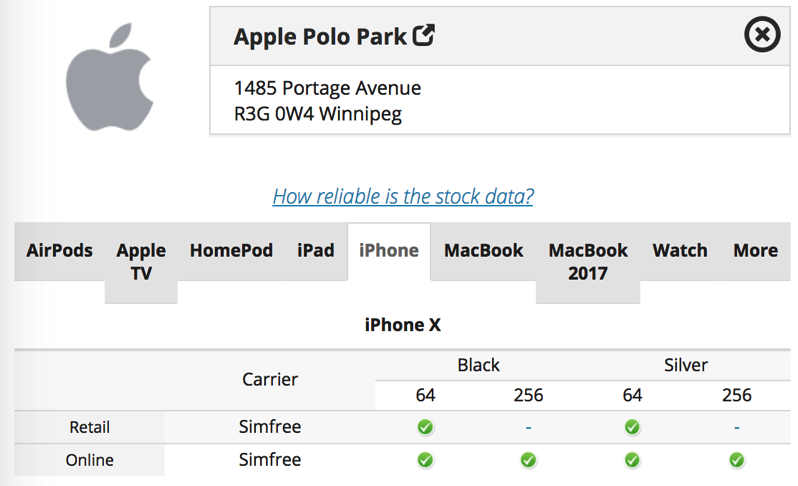 As of writing, iPhone X is sold out across Canada according to iStockNow. How to setup email alerts for iPhone X stock in Canada? It’s very simple. 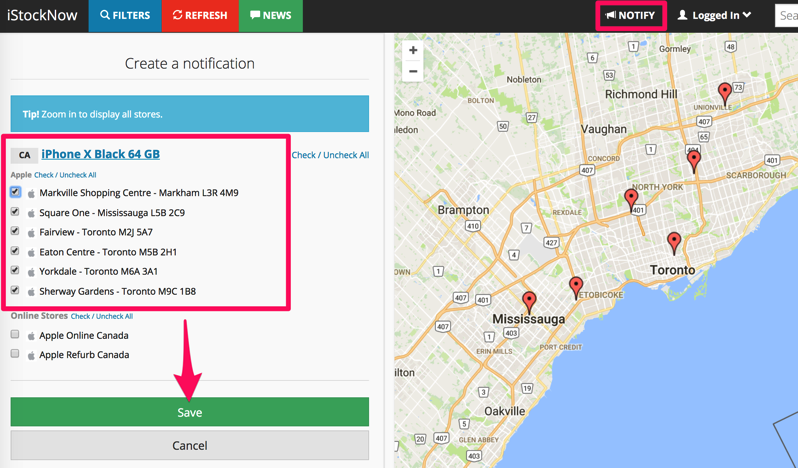 All you need to do is visit iStockNow, register your email by clicking ‘Log In’, select iPhone X using the filters, browse to your location on the map and click ‘Notify’ in the top right corner (we’re on our desktop). This will open a notification window, where you can select the Apple Stores showing on the map. Just select iPhone X, tick off the Apple Stores and then click ‘Save’. The next time iPhone X becomes available for your Apple Store, you’ll receive an email in your inbox. That’s when it’s your time to act quickly and complete your iPhone X reservation for pick up at the Apple Store. 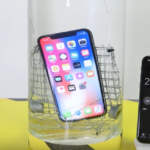 While iStockNow will let you know when stock is available, it doesn’t account for foot traffic in stores nabbing stock, but it will give you one of the best chances to buy an iPhone X now, instead of waiting 3-4 weeks for online orders to ship. Let us know how your iPhone X notifications work out with iStockNow.